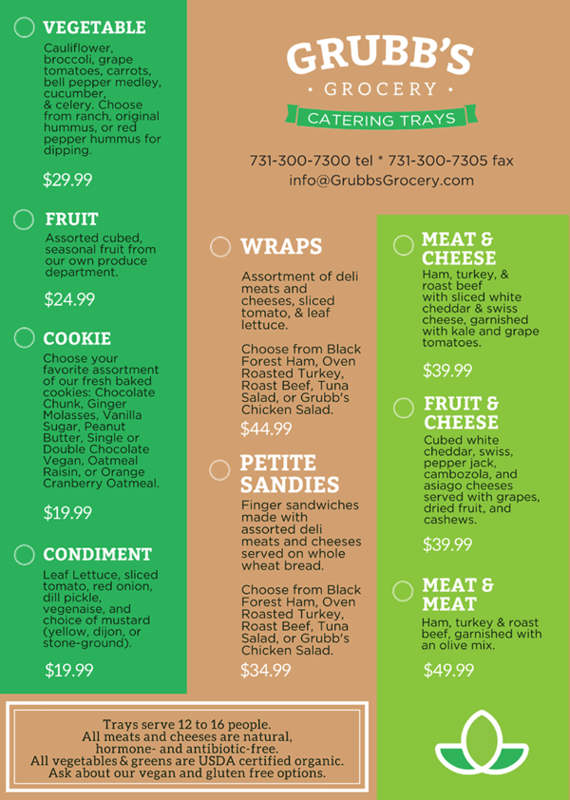 At Grubb's Catering, we have the same exacting standards for our Groceries, Produce, Specialty Cheeses and Natural Meats as we do for our Prepared Foods. Providing the freshest, most delicious food at a reasonable price is our specialty. Make it easy by choosing from the menu of items below. And if you'd like other options, feel free to contact us. We offer fresh Organic fruit and vegetable juices, local and regional craft draft beer in 1/2 gallon glass growlers, as well as a great assortment of bottled waters, natural sodas and juices, and amazing desserts. 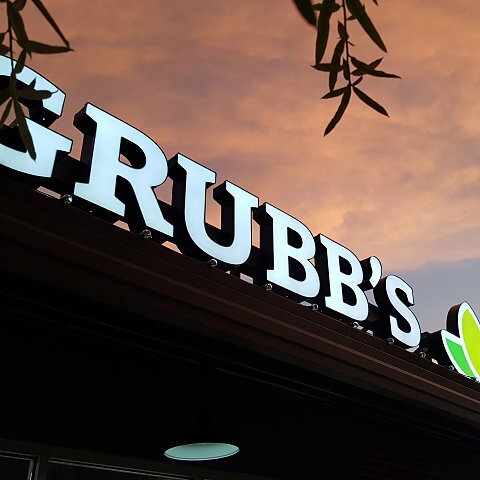 And remember, at Grubb's Grocery, all meats are 100% natural, hormone- and antibiotic-free and all vegetables, greens and fresh juices are 100% certified organic, and guaranteed freshest around.